Yoga Nidra is a very powerful discipline developed by Swami Satyananda Saraswati. She follows the tradition of yoga Tantra.It's about learning to relax consciously. To release our creative abilities. To develop our internal potential. Nidra is a physically passive practicewhich is realized lying in a silent space. Nevertheless, one of the essential conditions is to remain awake through the attitude of witness and the active conscience. Through yoga Nidra,the mind reaches an unconscious state that is normally associated with deep sleep.In addition, a state of calm and tranquility is achieved, which allows to reach the inner silence (in SanskritAntar mouna). 1 What is Nidra Yoga? 2 What happens when you practice yoga Nidra? The word yoga comes from Sanskrit and means "tie together", "effort" or "union".The goal of this broad discipline is to make us aware of one thing: we are united to all that exists in the universe. Therefore, yoga allows us to change our way of seeing the world around us. And to change our lifestyle. Yoga Nidra is one of the variants of this discipline.It helps us understand what the mind is (among others). The term Nidra means "to sleep" in Sanskrit. From the perspective of Yoga Nidra,we are asleep when we perceive that the world is made of solid and separate objects.So, when we dream, we take the images of dreams so that they are real. When we wake up, we see that these dream objects are empty of substance. We are therefore aware that they are in fact only fabrications of our minds. During the waking state, we take our thought pictures and the solid objects of the world so that they are as real as the images of dreams when we sleep. But the thoughts and objects that appear during the waking state areas empty as the images of dreams.Thus, Yoga Nidra is a process that helps us to explore this experience and, most importantly, to discover the truth of it. What happens when you practice yoga Nidra? When practicing Nidra Yoga,we study carefully and systematically the nature of the structures and beliefs that define our personal identity.These include the physical body, the energy, the sensation, the emotions, the body of thought and the personal identity of the ego. In general, we tend to believe that these elements are solid and real structures. During the practice of yoga Nidra, we reflect on the reality of these beliefs to examine them more deeply. The objective is todevelop a deep experience on the structure of our real identity. Otherwise,the ground of consciousness, the one from which all beliefs arise, is deepened.Thus, this type of yoga is a kind of study of the real substance and nature of everything. His goal is to answer the final question about the essence of our intrinsic spiritual identity. Yoga Nidra asks the following question:Are we separate or finite entities or are we something infinite and eternal? And if we are, can we know ourselves as That, not intellectually but as a real experience totally incorporated and realized at every moment? The experience experienced during the practice of yoga Nidrainevitably leads to the deconstruction and dis-identification of our basic beliefs about who we are.As these dissolve, we distinguish our essential nature. We begin to believe that we are not the finite and finite creatures we thought we were. Instead, we discover that we are an unfathomable immensity for the mind. A happy being who is always present, even in the worst difficulties. It helps the purification and dissolution of mental blockages. It allows creativity to explode more easily. The memory becomes clearer and stronger. The imagination is developing properly. Creativity and learning are strengthening. Intuition and deep knowledge are manifested. Consciousness has the opportunity to un-identify the physical body and the mind. She can also immerse herself in the experience of being. Slowing of the body metabolism. Increased resistance of the skin. Increased activity of alpha waves of the brain. Increased blood flow through the body. 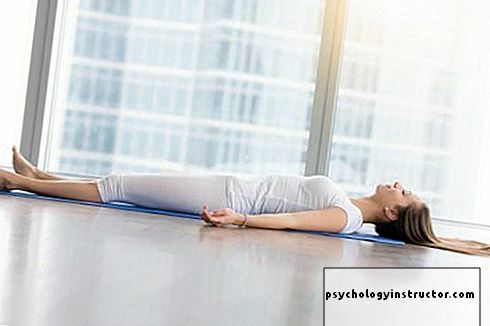 In addition,the practice of yoga Nidra promotes and strengthens the connection with our internal organs and our external muscles.This allows us to develop a more and more definite perception of the state in which each part of our body is located. Our body consciousness is therefore greater. It implies an increase in the consciousness of being. Therefore, it stimulates oriented behaviors and a greater attention to ourselves. 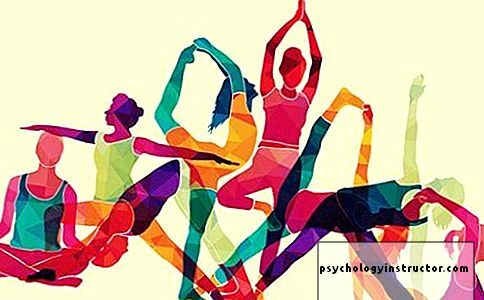 There is a yoga for beginners, for those who approach this physical and mental discipline out of curiosity or for those who … Read More "